The human being is social. So ideas and development take off when we meet and work together. This means the office is necessary as a meeting place even if the work itself is changing. New techniques and new ways of working demand new kinds of furniture that help the office to function and the staff to deliver. We call this: Edsbyn – the working office. This segment, with a focus on price, is aimed at organisations that want to create workplaces for a low price. 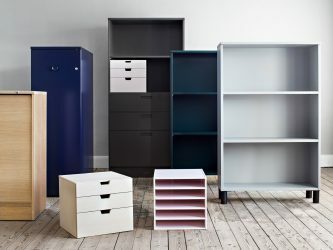 With simple but stable designs in combination with fewer versions, materials and colours, prices are kept down. 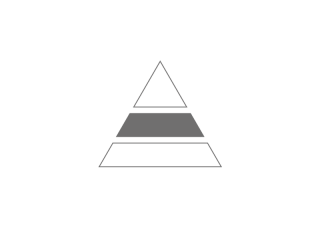 The segment with a focus on function. Business is aimed at organisations and companies that want to create customer adapted and functional workplaces with long lifetimes for a low cost over the product life-cycle. The segment with a focus on design, aimed at companies and organisations that see a well-designed workplace as an important competitive advantage, both when it comes to employer branding and for reinforcing the company’s brand. 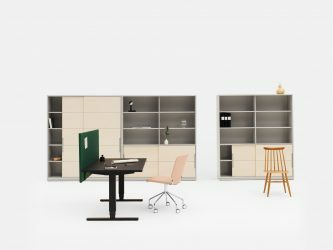 Edsbyn’s furniture families matches different needs in the contemporary office, which makes it easy to find the right product to the right need. Ease isn’t merely a screen system. Ease is probably one of the market’s most versatile furniture programmes, providing everything from standing or hanging room dividers to clean workplaces, interview rooms and seating areas. 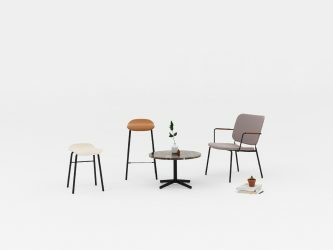 Feather chairs and tables have an uniform expression – simple, clean, functional. The variation in colour, shape and materials gives you the possibility to select a beautiful, harmonious interior with a personal touch. 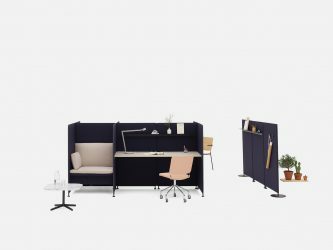 Gather combines the practicality of a modular and the aesthetics of a stand-alone. The program allows you to setup configurations best suitable for your needs, without compromising on aesthetics or comfort. 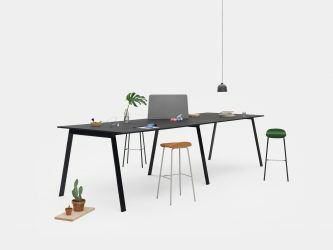 Neat is a family of work tables and storage units with streamlined and airy design. With Neat you can combine the material components and colours to put a personal touch on the interior. 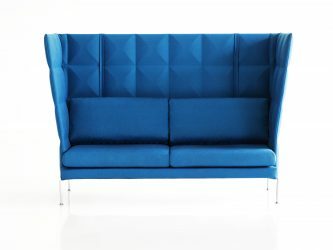 To fulfil its function as a divider in large spaces, Part has large proportions and a reverse that is as beautiful as the front. 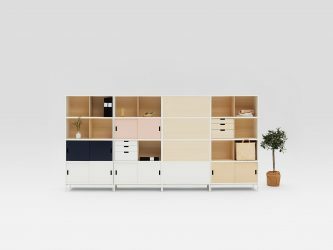 This makes Part storage a perfect companion in the modern activty based office. Piece is a family for creative work, presentations and meetings. Great care has been devoted to creating attractive, easy cable management. Modern and airy Nordic design with a lot of attitude. 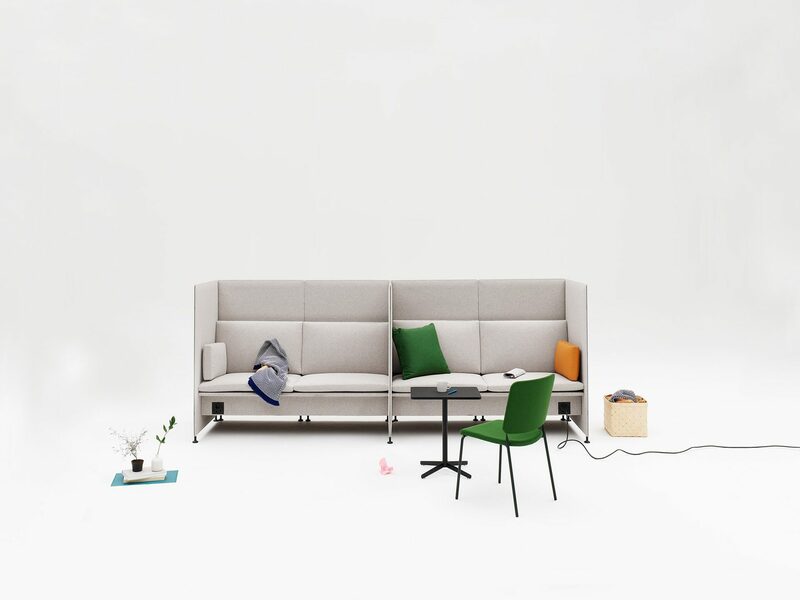 Resolve invites you to solitude and quiet conversations in offices and public places. New Resolve Play can also easily be assembled into small conference rooms with an AV prepared partition wall. 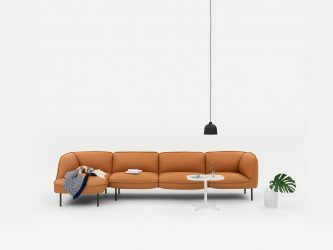 With an efficient factory in Edsbyn that produces customized orders, only the furniture that is needed to create functioning meeting- and workplaces is produced. With a large proportion of locally produced products, we also contribute to a sustainable and living society in the long run. The Fanett Windsor chair, of which over 5 million were sold, was produced from waste wood from our ski manufacturing. Waste wood is today supplied to the power station. Our latest example of sustainable product development is the EASE screen system, which is manufactured from recycled textiles and PET bottles. As early as 1905, Edsbyn made its first delivery to the Swedish state. Since then we have furnished both the Parliament House and the jewels of the Nordic export industry. Of course, we deliver the same joy to all organizations, regardless of size, which want to create well-functioning meeting- and workplaces. For you as an architect, Edsbyn is a reliable partner that helps you to create contemporary meeting and workplaces. We are flexible yet experienced enough to help you with both small and large products. We are also experts at making your ideas and visions reality. Edsbyn has a framework agreement with the Swedish Legal, Financial and Administrative Services Agency (Kammarkollegiet), and through this we supply government authorities throughout Sweden. Through reseller framework agreements with the Swedish Association of Local Authorities and Regions (SKL), Edsbyn also supplies municipalities and county councils in Sweden. In Norway and Denmark we have contracts with a number of municipalities together with our resellers. With us, you can feel secure from the sketch stage to the delivered project. Good design, high quality and function with a good price structure means that Edsbyn’s furniture is often stipulated in projects and is in demand by customers. • Three segments with a focus on price, function or design, to help you find the right level. 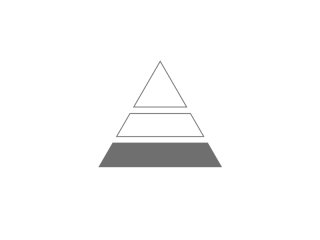 • Each product family fills a clear need. A range with plenty of choices at different price levels, to help you fulfil the customer’s needs. The more you value yourself, the more other people value you. Consequently, an attractive office reflecting the desired company profile increases the value of the customer’s experience of your company and brand. Helping to create attractive and functional meeting and workplaces for the right price over time is simply part of Edsbyn’s DNA.